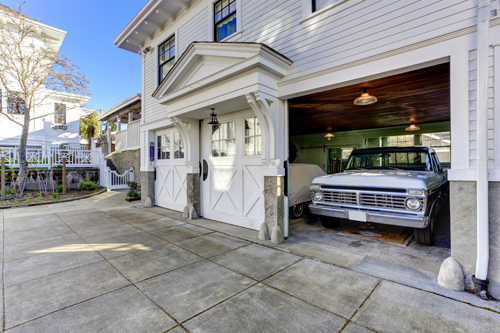 How about a few more tips about garage doors, their parts and their problems? Scroll down here to read them. If you are contemplating on an elegant look for your home, we at Garage Door Repair La Puente recommend wooden garage doors. This door blends well with any home design and is known to provide excellent aesthetic appeal. Remember that garage doors occupy a big portion of your house’s front. A well-designed wooden door will just be the trick you need. In most cases when the garage door refuses to open, the problem is in the garage door opener. If your door is giving you a headache, check the opener. Make sure that it is plugged in. It would also help if you check the garage door clicker battery. You may have overlooked the fact that the battery has drained. Newer models of garage door openers work on keyless systems now. A lot of them use fingerprint detection to ensure complete security. Therefore before getting any garage door opener installation done, make sure that you see that it has all the security features. Replace the batteries first if the opener remote does not work. If there is rust on the battery contacts, you should remove it with a lint-free cloth and a little bit of apple cider vinegar or lemon juice. Then you should add the new batteries. If this basic troubleshooting does not help, the clicker will have to be fixed or replaced.